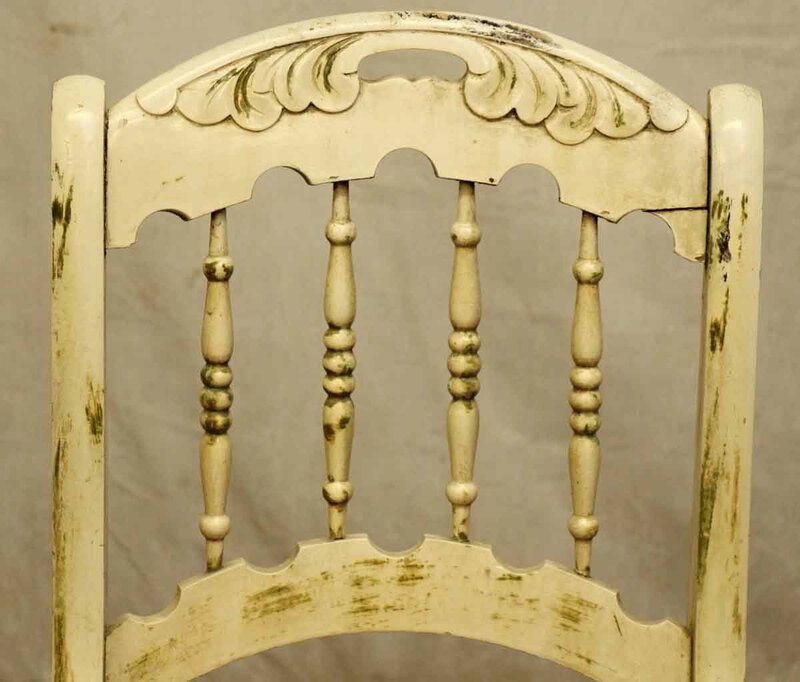 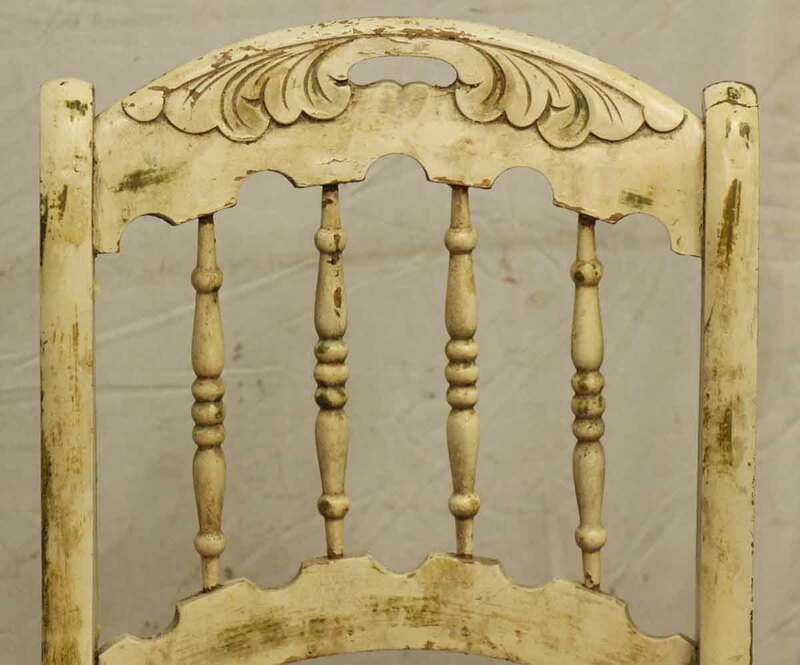 Set of two turn of the century wooden farm chairs. 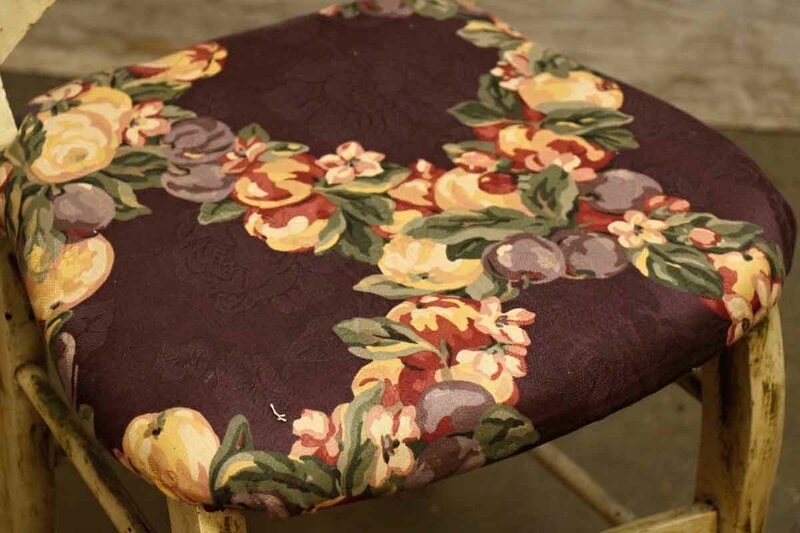 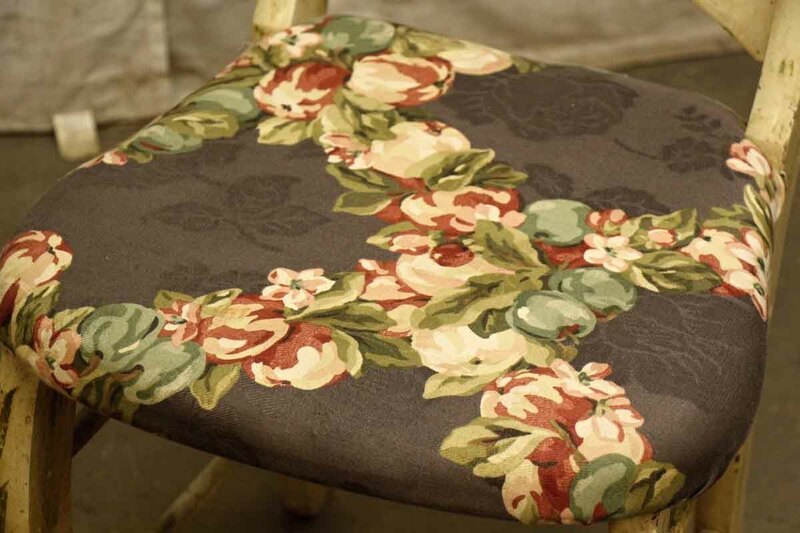 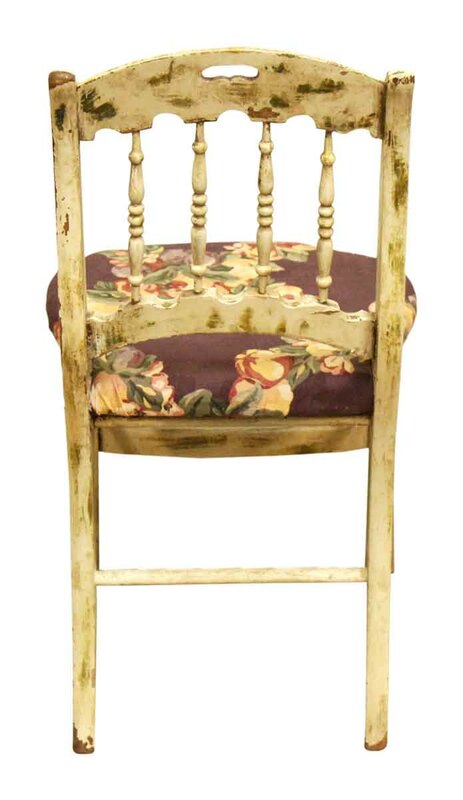 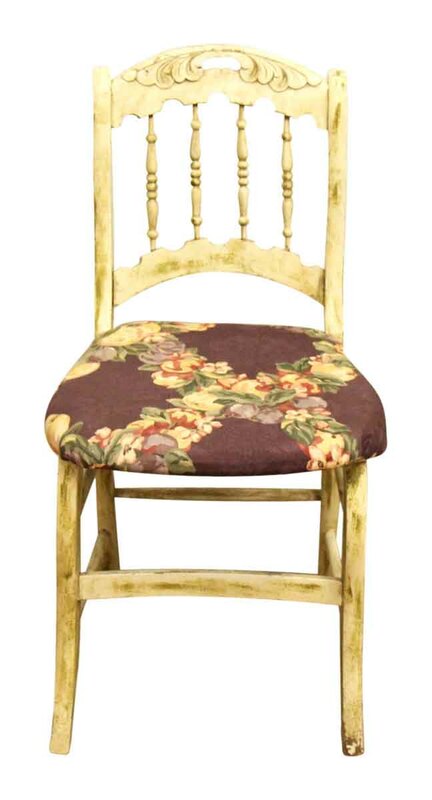 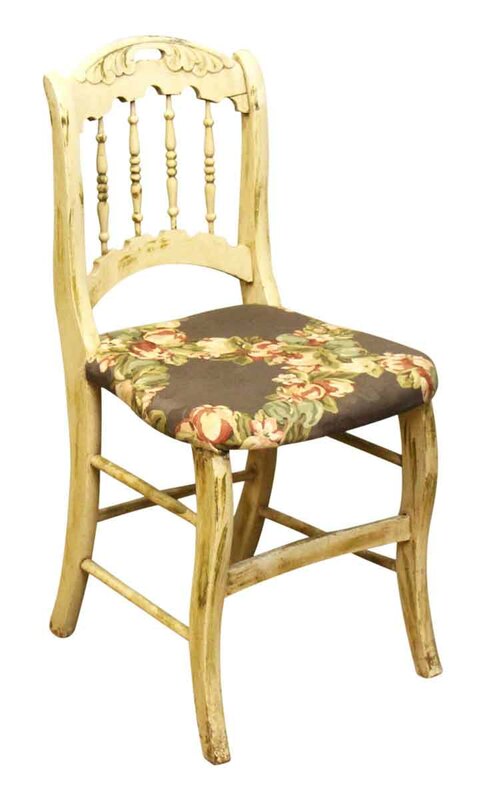 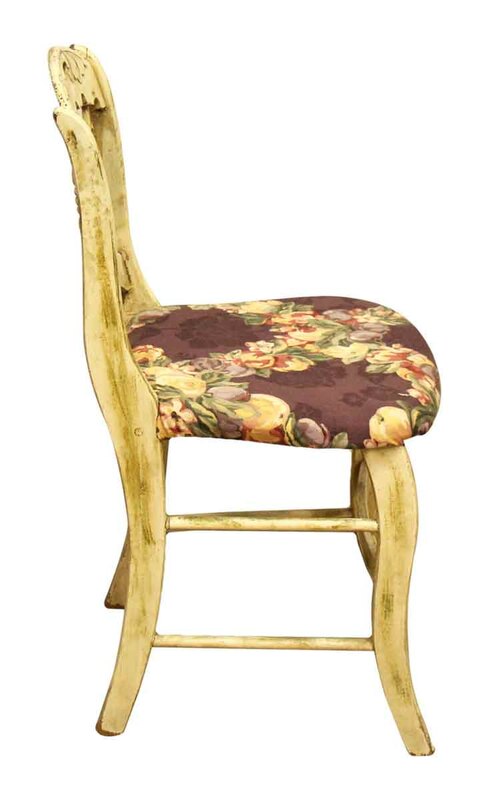 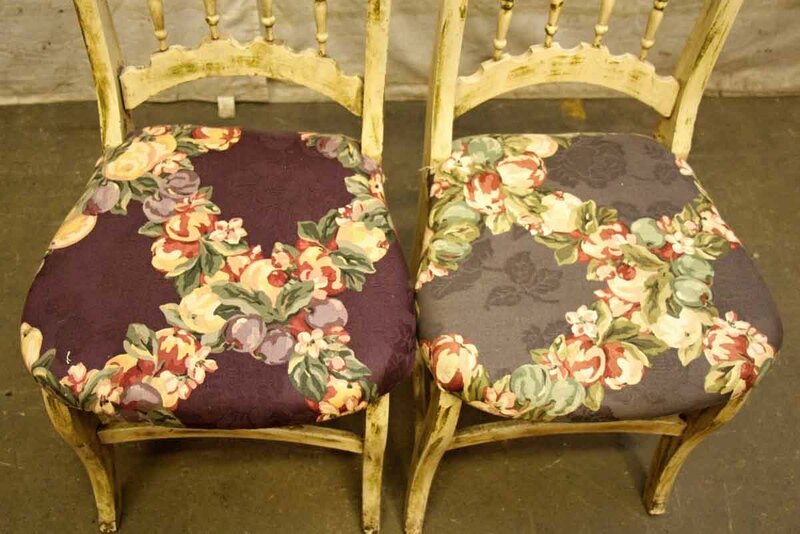 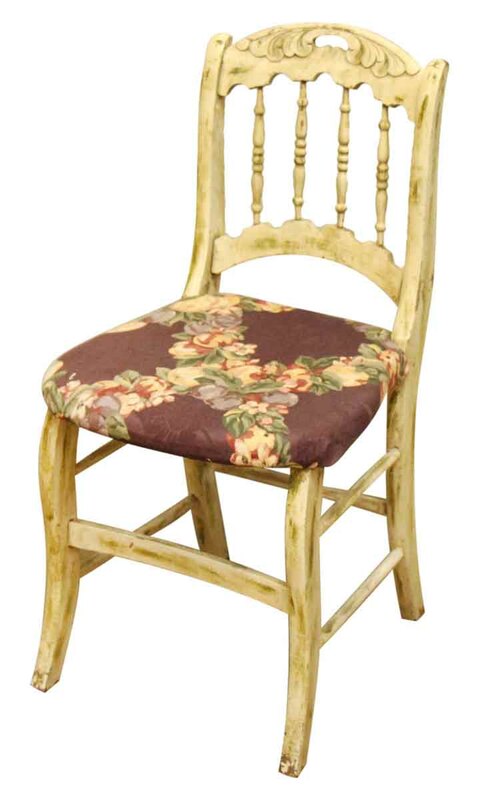 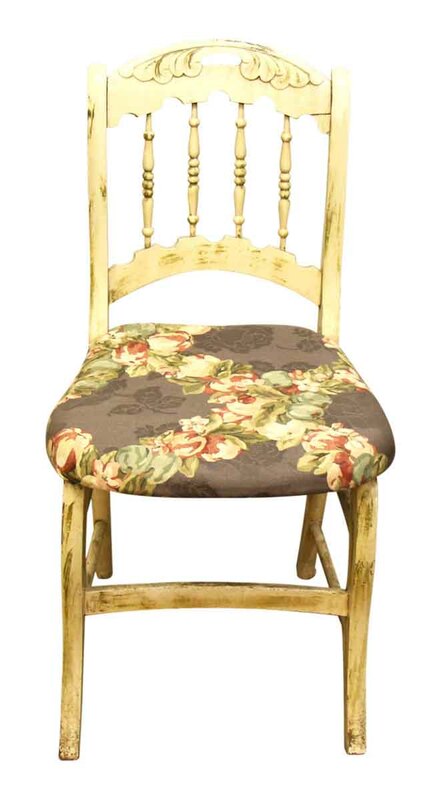 This pair has since been reupholstered and hand painted with a floral design. 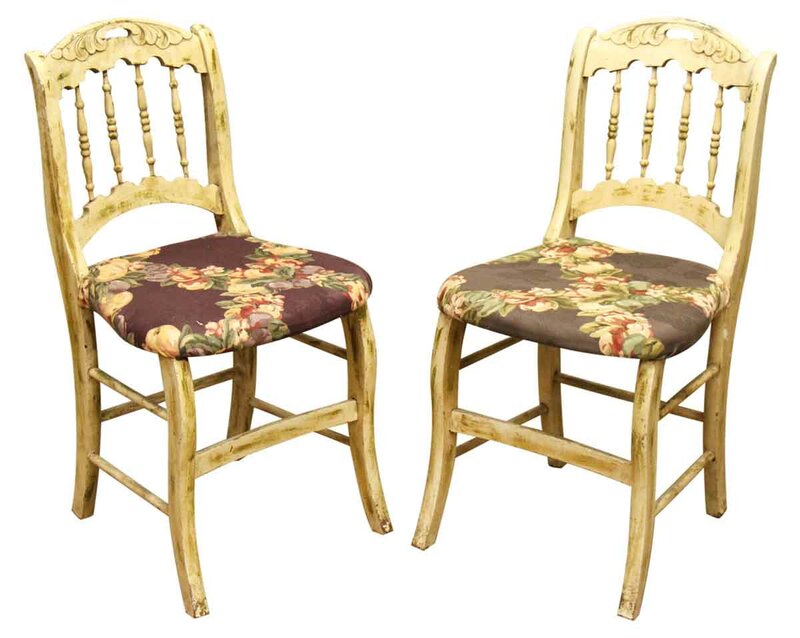 Priced for set.